1. What type of fishing did you do and why did you go to Japan to go fishing? John Vetterli: We fished everything from honryu, keiryu, seiryu, and headwater streams. I wanted to get a more detailed introduction to different tenkara teachers methods, philosophies, techniques, personalities, and just get to know them as people, not necessarily as a student teacher relationship but as a fellow tenkara angler. Erik and I connected deeply with Masami Sakakibara, Horimichi Fuji, and continued to develop our longstanding relationship with Dr. Ishigaki. There are a lot of misconceptions and ideas about “Tenkara Masters of Japan”. The facts are that they are just people like you and me. They are generous with information, there are no mystical secrets, we just had a really great time sharing stories, jokes, laughing, and enjoying fishing together as friends. We all had a hell of a lot of fun. Everyone lost flies to trees, missed fish strikes, fell in the water, got lost driving, and had tough days fishing. What makes them different is 40-50+ years of tenkara fishing and untold hours of thinking about every facet of the method and techniques. They all intensely focus on basic skills continuously. Their skills are all about attention to even the most minute details. Chris Stewart: Tenkara fishing. Fishing was only part of the reason for my trip. I would not have gone to Japan just to go fishing. On my second trip to Japan I didn’t fish at all. Daniel Galhardo: I first visited Japan with my wife, who is Japanese American, to visit her relatives. That was in 2008 and when I discovered tenkara. Tenkara grabbed hold of me, and it became my mission to share this style of fishing with people. I knew I was going to return to Japan to learn more about it. It really helped that I connected with Dr. Ishigaki and other Japanese tenkara anglers who invited me to fish with them. So, I have returned to Japan every year since to fish, tenkara of course. I return to learn more about tenkara and continue sharing that story, which is an inspiring way to know how simple things can be. Paul Gaskell and John Pearson: Tenkara! Our visit was totally devoted to our continuing discovery of tenkara. We both travelled to Japan together following an invitation from Dr Ishigaki after we'd hosted him for his trip to the UK. Timothy Burchett: I went tenkara fishing on some of Masami Sakakibara’s local rivers outside of Kakigawa, perfect representations of the mountain rivers that were the birthplace of tenkara. I went in Japan with the purpose of doing an all-round experience trying to see the world from a different angle. While I was there I was working in a semiconductor company , studying Japanese language and culture and of course learning Tenkara. Adam Trahan: I fished Tenkara exclusively and with one fly in all areas, a Ishigaki style kebari. It was very hard for me to let go and do but now I am glad I did. I left all my comfortable Western flys at home. I had done a season of one fly and needed to prove it to myself that I could make it work anywhere and I did. Four types of trout in a couple of different areas, Iwana (and Nikko Iwana) Amago, Rainbow and Yamame. I went to Japan to find Tenkara on my own, what I found there was that Tenkara was not very popular, not by a long shot. I also found out that Daniel was well respected and was mentioned that he was instrumental in Tenkara's growing popularity in Japan. Erik Ostrander: Going to Japan was actually a very tough decision for me. We (Tenkara Guides) were invited to come to Japan by members of the Harima Tenkara Club. The opportunity to fish with friends in Japan was a distinct attraction, but I did not see travelling to Japan as some sort of tenkara pilgrimage where I would reach some sort of Zen enlightenment. In the end, the pull of fishing with friends and seeing Japan for what it really is convinced me to go. 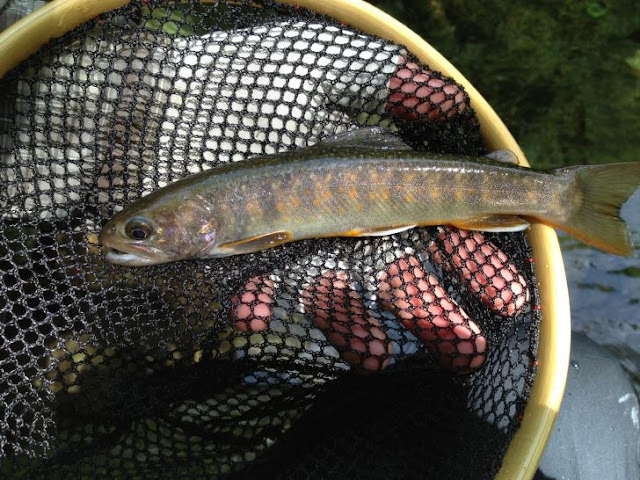 We fished tenkara in honryu, keiryu, seiryu, and headwater streams. In Kyoto I had the pleasure of using my Nizzin ZX 450 keiryu rod to fish the Kamo Gawa for carp. 2. Who showed you around while you were there? John Vetterli: We fished 3 days with Masami Sakakibara, his wife Kyoko, and Rocky from the Mazegawa Fishing Center. Then we hooked up with Dr. Ishigaki for 4 days of fishing at the village of Itoshiro and attended the Itoshiro Fishers Holiday Event. The second week we camped at Horimichi Fuji’s fishing hut and fished a wide variety of mostly headstream waters. The last few days we fished the Totsugawa region with Eiji Yamakawa and Masami Tanaka of Harima Tenkara Club. Chris Stewart: While fishing, I was showed around by Daniel Galhardo, Dr. Ishigaki and Masami Sakakibara. Daniel Galhardo: On every trip I make a point of connecting with multiple experienced tenkara anglers. They are always so kind, welcoming and very generous with their time. Dr. Ishigaki has always made time to show me around and is usually my main host. Masami Sakakibara has taken me to a nice old village where we stayed in a 150 year old house and fished together one of his favorite areas. Go Ishii took me around and served as a great translator in my time with Sakakibara-san. Yuzo Sebata, a 70 year old tenkara angler, took me on a backpacking trip of a lifetime. Katsutoshi Amano showed me his tenkara and then hosted me in his restaurant, where we ate fresh fish. 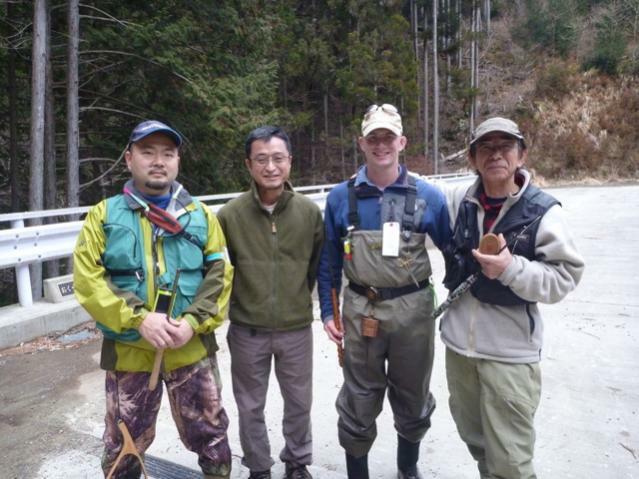 Eiji Yamakawa, Kiyoshi Ishihara, and Masami Tanaka have kindly hosted me and taken me fishing near Kyoto. In 2011 two kind people, Rocky and Ikumi Osaki, also allowed me to live in their home for 2 months in a small mountain village to learn more about tenkara. There have been many others that I'm sure I'm neglecting to mention here, but I am grateful to each and everyone of them for their time. John Pearson: We arranged our itinerary with Go Ishii and Dr Ishigaki. We were met at the airport by Ishigaki-san and spent three days with him around Itoshiro. We also spent two of those days in the company of Masami Sakakibara (who's talent lived up to all the hype) and translator Satoshi Miwa who himself was a very interesting individual. We were also followed around by a film crew from NHK TV who were shooting a documentary about the C&R fishing in Itoshiro. On our fourth day we were met by Go Ishii who stayed with us for the remainder of our visit. We travelled to several areas with Go and a very good friend of Ishigaki-san called Makino-san (whose nickname is Himano - an amusing story in itself). Makino-san is one of the coolest people I have ever met; neither of us could really speak the other's language but we just seemed to be able to communicate. We were also lucky enough to spend time with Kazumi Saigo (aka Ajari - another nickname with a story) perhaps one of Japan's best tenkara anglers and a really fun guy to spend time around. There was a whole host of other people in the tenkara community who we spent varying amounts of time with and, without exception, every one of them was generous to a fault. Paul Gaskell: So, following the initial invitation and a number of arrangements that Dr. Ishigaki made around Itoshiro; Go Ishii went to a huge amount of trouble in his “spare” time (i.e. late nights!) away from running his 3 businesses to make our trip amazing. Go’s wife Catherine also performed miracles in finding affordable hotel bookings in Tokyo and Nagano for our quick tourist trip at the end of our stay. This all stemmed from a facebook friendship that we struck up with Go following Dr. Ishigaki’s visit to England. In addition to what John mentions, we met up with Hirata san (mamushi-skin and “vice-less” kebari maker, horse-hair line furler, tackle shop owner and angler). We also had a formal introduction to Itoshiro-san (president of the local fishing association) who honored us with free fishing permits for the Itoshiro river as privileged international guests. Maeno-san was the producer of the NHK documentary program who I’d had some email contact with just prior to our visit and Yagi-san was the photojournalist and senior editor with Tsuribito-Sha Inc. who covered part of our visit for the Japanese “FlyFisher” magazine. These last four introductions were all organized by Dr. Ishigaki – who also liased with Masami and Kyoko Sakakibara (in addition to the separate emails, letters and facebook communications that we ourselves exchanged with the Sakakibara family) so that all of the various timings and hosting-arrangements worked out to a highly complex timetable! Of course, both Ishigaki-sensei and Go liased closely with Sasaki-san who owns and operates a fantastic family inn where we stayed in Itoshiro- and who also owns the storage hangar where all the kit for the Itoshiro flyfishers’ holiday is kept. It is revealing that Sasaki-san has chosen the friendly tenkara community (out of the numerous angling communities who regularly visit Itoshiro) to bestow the only spare key for the use of this building between fishing sessions and during bad weather! Wonderful people who welcomed us along the way (in addition to Ajari/Saigo-san, Himano/Makino-san) also included Mr. and Mrs. Koike – both insanely keen tenkara anglers with a habit of buying beers for us at meal-times; Yossui-san (Jun Yossy, tenkara vlogger on youtube); Otani-san (fearsome bbq-maestro); Kura-san (light-line casting accuracy champion); Yuki-san (she was very kind about my awful Japanese, and is a super-keen new tenkara angler); Takahashi-san (pro photographer and top angler); Shimuzu-san (purveyor of fine palmered-hackle kebari and fish catching machine); “Ugui”/Taka-san (a wizard of the hand-made soba-noodles and another fish-magnet whose real name I never got to know!!). As an aside; nicknames (and double-nicknames like Ugui and Taka-san) are very common in this tight-knit tenkara community and it is said that this helps to divorce people’s station in their professional lives from their tenkara skills or social contribution to the tenkara community. It doesn’t matter who you are or how much money is in your bank account once you’ve got a rod in your hand or you are tending the barbecue fire – your social status or work achievements are largely irrelevant! Everyone showered us with an embarrassing excess of hospitality, it was quite overwhelming and we were glad that we’d (at the very least) gone prepared with some tiny token gifts of sweets, tippet material, kebari etc. for everyone we met in accordance with the Japanese custom for visitors. However these gifts did seem pitifully inadequate in the face of the hospitality that we received. Timothy Burchett: Masami and Kyoko Sakakibara picked me up from the local Shin station. I drove with them all week, and fished with the two of them as well as Kazuo Kurahashi and Tadashi Otani, two of Masami Sakakibara’s friends. Masami speaks no English and I speak no Japanese, so it was great to be with Kyoko and Kazuo, who both spoke great English and were able to translate for me. Uberto Calligarich: Well, I stayed in japan nearly 2 years so I travelled with a lot of people. My girlfriend , my good friends Ajari (Kazumi Saigo), Kazuo Kurahashi, Tadashi Otani, Jun Yossi, Go Ishii and also Dr. Ishigaki and Masami Sakakibara. Adam Trahan: I had made friends with Satoshi Miwa through my smallstreams.com web site. We had been sharing our small stream fly fishing stories for years. I had been admiring his favorite streams in the pictures that he posted, I wanted that so badly. When I decided to visit a I saved for a couple of years and planned my meeting with Satoshi who is a Western Fly Fisher, no Tenkara. I planned to visit in June but the Tohuku earthquake happened in March so I decided to put my trip on hold and wait, I did not want to celebrate fishing in a country that was under duress so I postponed until the summer of 2013. Satoshi had some contact with Dr. Ishigaki and Sakakibara-san to help translate with my equipment purchase. Satoshi picked me up at Centrair and we toured mostly in and around Takayama where we stayed at Re-Rise, a beautiful fishing lodge high in the mountains near Takayama built by Nahuji-san, a master fly fishing guide. He builds bamboo fly rods, guides, cooks, ties, teaches, he designed and built the beautiful lodge. We then moved on and to the Historic Villages and Itoshiro where I meet and was given instruction by Masami Sakakibara and Go Ishii. Satoshi then took me to his home in Mie Perfecture where we took the trains to the Ninja Village of Iga where I learned a little about Ninjitsu. We went back to his home where I re-grouped and then he helped me get on the Shinkansen (bullet train) to Tokyo Station. During my last few days of my visit, I was in Tokyo to meet the Sakura Family at their rod shop (read multi story high rise in Kanda.) I represent Sakura and I wanted to meet this historic fishing family. I had interviewed Masaki Wakaba previously and he really wanted to meet me and I was a little scared in Tokyo by myself. He came to my rescue in my little closet hotel room and took me to meet the Sakura family. We were given the tour of Sakura together and it turns out that Masaki and Masayuki Sakurai grew up in the same neighborhood. So the three of us went to Masaki's second home on Mt. Fuji where we went fishing in that area. Momosawa and Tanzanawa where I caught Amago and Yamame. Masayuki did not know how to fish Tenkara so I taught him as much as I could. 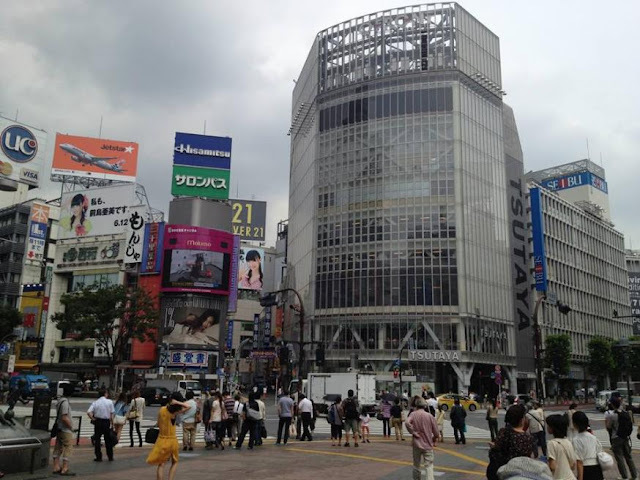 During my last day, Go Ishii picked me up from my hotel room and toured me around Shibuya to go shopping at Joshuya and Sansui. He took me to Narita and waved good bye. Erik Ostrander: Wow, there were so many people that shared their knowledge of Japan with us that I had everyone write their names down. It’s too much to remember. But, we fished first with Masami Sakakibara, his wife, with Rocky as our translator and shower climbing guide. Ishigaki brought us to the Itoshiro Fisherman’s Holiday were many local people also helped us. Himano, Go Ishii, among others. Later, Eiji Yamakawa brought us to meet Horomichi Fuji and his fellow club members. 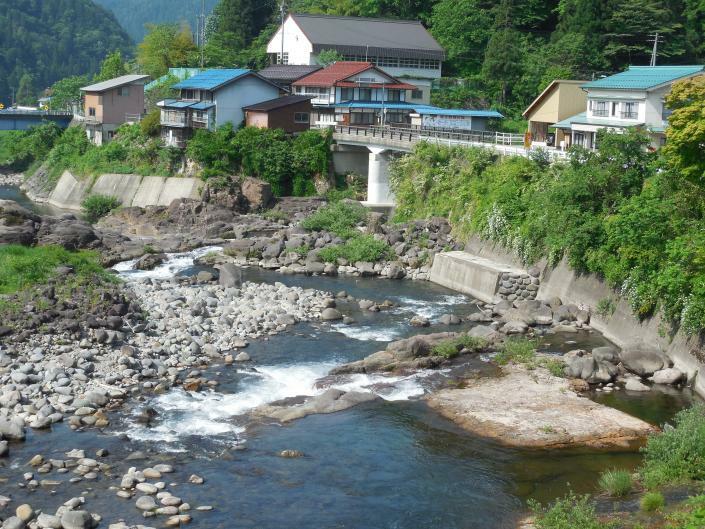 Lastly, Eiji took us with Masa Tenaka to some amazing rivers. Masa also met us in Kyoto with his daughter Ai as we toured the old city. 3. What region did you fish? John Vetterli: Mazegawa, Kyoto, Gifu, Osaka, Itoshiro, and a bunch of tiny villages that I can’t remember the names of. We basically fished a 300 mile radius from Nagoya covering as wide a variety of river systems as possible. Chris Stewart: I attended the Itoshiro Fisher’s holiday. I do not recall the name of the region. Daniel Galhardo: I have spent most of my time between two regions, either up North near Yamagata-city where my wife's grandparents live, or for the most part, in Gifu prefecture, near the Japanese Alps. In 2011 I rented a car for a couple of months during my stay and was fortunate to be able to explore a few prefectures around Gifu too. Paul Gaskell & John Pearson: We started and finished our fishing in Itoshiro. In the intervening time we visited the Shokawa area, made a brief pilgrimage to Takayama and fished in the Takahara River area. Consequently, I think that all the fishing areas would be contained within the Gifu prefecture. Timothy Burchett: I fished in the local rivers around Kakegawa, including the Uri River, where Masami Sakakibara grew up fishing. It was the first weekend of the season, and it was great to hit the water. Uberto Calligarich: I fished in Kansai , Kanto and Chubu region in the prefectures of Nara , Gifu , Nagano ,Ishikawa and Tochigi. 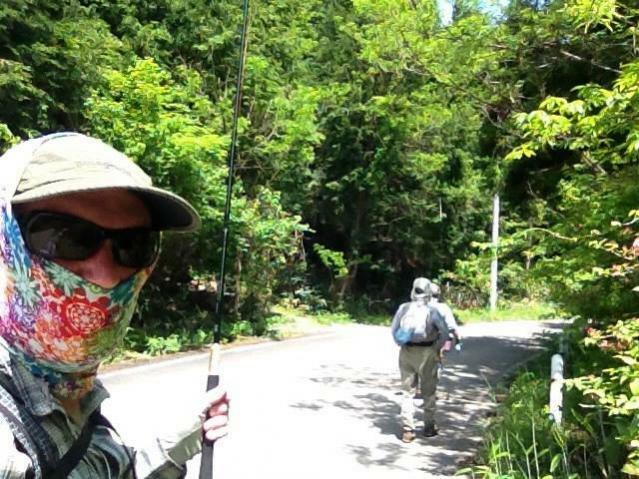 Adam Trahan: In Gifu around Takayama I fished a couple of streams, Nagawa and another stream that I was not allowed to know the name so I named it myself as I do in America so no one will know what its name is unless they fish there, Nonamesawa. I also fished Isshikigawa and Showkawa near the Historic Villages of Shirkawa-go and Gokayama and then on to fish the Itoshiro. I then travelled to an area near Mt. Fuji and fished Momosawa and Tanzanawa. Erik Ostrander: We fished all around what I’d call south-central Japan. 4. What type of fish did you catch? Chris Stewart: Iwana and amago. Daniel Galhardo: I have mostly caught Iwana and Amago, but in my last trip was rewarded with a couple of small Yamame. Some of my most memorable fish may be the Yamato Iwana, a type of Iwana that is a bit difficult to find and generally just wild exist now. We had to rappel into canyons to catch them. For several years now, since first seeing pictures of yamame, it has been an ambition of mine to catch one; realizing that dream was worth the cost and effort of the trip alone! One thing I wasn't prepared for was the amazing beauty of the iwana, I'd always kind of known how beautiful amago were (very similar to yamame really) but I definitely have a new appreciation for Iwana too, now I've seen them in person. Paul Gaskell: Similarly, I was blown away by how beautiful all the native Japanese species were (even the ugui!). They had a vibrancy of colour and sleekness of form all their own. It was also fascinating to begin to lock in on their little behavioral quirks (you seem to be able to wait an age before setting the hook on iwana compared to amago and yamame; you can also start to pick out spots that are more likely to hold iwana than the other two native species and vice versa). I think I was the only one to catch a rogue (invasive) brown trout – which is ironic since I work for the charity that conserves them as a native species in the UK!! Timothy Burchett: Unfortunately, the fishing was very slow due to the cold water in the early season. Masami caught one Amago, and I was skunked. This just gives me more reason to go back! Uberto Calligarich: I caught Iwana , Yamato Iwana , Amago , Yamame , and Rainbow trout. I also caught other small fishes called Ugui (Leuciscus hakonensis) and Kawamutsu (Nipponocypris temminckii). Adam Trahan: Iwana and a varient Nikko Iwana, Yamame, Amago and Rainbow trout. Erik Ostrander: We fished only for freshwater fish. We caught Iwana, Amago (wild Amago with round par markings, and planted with oval par markings), Rainbow trout, and a bunch of different chub species. I think one day I caught five new species of fish. 5. What did you eat while you were there? 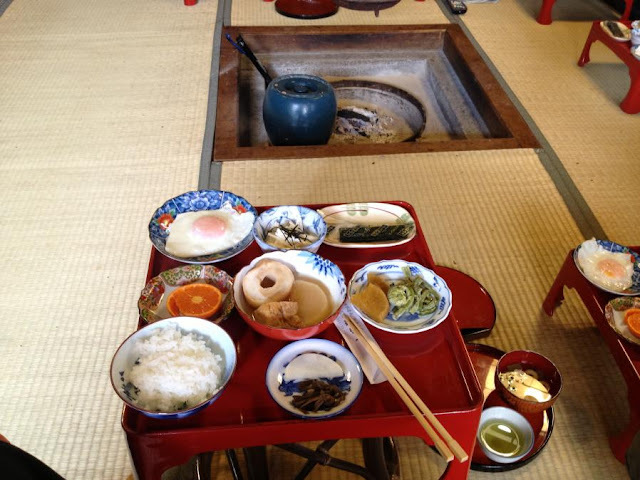 John Vetterli: We stayed in traditional Ryokan Inn. We had very traditional kaiseki meals. Fish was a part of every meal. Amago sashimi. Iwana, amago, and ayu shoyotaki. Fresh mountain vegetables and rice grown and harvested in the villages we stayed in. The kaiseki meals are so complicated with many courses that I could write 20 pages trying to describe the food. Best to summarize that it was lots of food and it was all fantastic. The only thing that takes a little getting used to is fish and salad for breakfast. Chris Stewart: Too varied to list. Daniel Galhardo: I take great pride in being able to say that I eat EVERYTHING. From fermented ayu intestine, to a lot of great sashimi, some wonderful homemade noodles, and of course shiyoyaki trout. And, of course, yakitori. That's by far my favorite food, absolutely love going to hole-in-the-wall yakitori places and just having skewers of meat and drinking beer. Nothing better. I absolutely LOVE the food in Japan and it is a big reason for me to return every year. John Pearson & Paul Gaskell: We had a total immersion experience with the Japanese food (in the mountain regions you don't really get much choice). Both Paul and I will try anything when it comes to food and Go Ishii went out of his way to present us with the widest selection he could. I think Go was quite surprised by what we were willing to eat; cows tongue, pig intestines etc. We ate so many different things; I'll try to give just a few of the memorable ones. Sansai - wild gathered plants cooked in tempura. This was amazing, cooked outside by Sakakibara-san's wife Kyoko. I could eat sansai all day long. Amago, yamame and iwana - we had all of these regularly at breakfast and evening meals. Back home our farmed trout for the table (usually rainbows) are much larger and bones are often inedible so these Japanese farmed fish, served at around 6" to 8" were a very pleasant experience once we'd been informed we could eat the bones too! Hida beef - an amazing treat! Marbled with fat (I'm informed up to 60% fat) but melts in the mouth. One of the food highlights of the trip was Ishigaki-san cooking Hida beef at the table which was then dropped into our bowls filled with a beaten raw egg. Man, I'm getting hungry writing this!! PG – this (Shabu shabu style) was probably the most extravagant example of “Nabe” or pot cooking that the diner can do at the table on individual or communal burners; but we had many delicious mini nabe as part of multi-course meals with vegetables, seafood and chicken in savoury broth. Ayu - we ate some small ayu whole; head, tail, bones, guts and all. At the very first moment of taste they were similar to an anchovy but a sweetness in flavor quickly takes over. Ayu have very soft bones and you really don't notice any crunch as you eat a whole one. Turban Shells - a massive (almost fist sized) sea snail cooked in its shell on the barbecue. These were a little intimidating, especially once you'd managed to get the cooked creature out of its shell. The taste was pretty good though similar to a green lipped mussel. Fermented soy beans/Natto - not a bad taste experience but beyond messy to try and eat. They have this sticky, stringy thing going on - kind of like the stringiest pizza cheese you've ever seen. Yeah the taste is great but the frothy slime is “quite challenging” to the western diner! Octopus balls/Takoyaki - small balls of batter mixed with vegetables surrounding a small piece of octopus. You get about six of these topped with bonito flakes and sauce of your choice. Highly addictive!!! We had all the usual thing you'd expect, amazing sushi, sashimi, noodles, tofu, miso soups, pickled vegetables, mushrooms etc. Other highlights included a whole host of barbecued meats and seafood cooked on camp fires, outdoor charcoal grills and indoor charcoal grills and fire pits built into dining tables. Paul Gaskell: The cherry salmon fillets (sea-run amago) that we had at the restaurant called “Tenkara” on our way to Shokawa were also amazing –as was the rest of the meal which was barbecued at the table and served with some fantastic dipping sauces. Also – one of the meals we had in Tokyo was off the scale amazing too!! Timothy Burchett: One of the great things about fishing in Japan is the pre-fishing pick-nick. Kyoko made wonderful miso soup and rice balls, and we feasted on a folding table by the side of the river. After we were finished and returned to their house for the evening, Kyoko cooked the best Japanese meal I have ever had. It included almost every type of Japanese food that you could imagine. Uberto Calligarich: I ate everything. From the worldwide famous sushi , sashimi and ramen to the less known roasted hoppers and bees larva of Nagano Mountains . During Tenkara expeditions I was often eating mountain vegetables tempura and pork/beef guts soup cooked on a campfire. Adam Trahan: I had discussed my dietary requests with Satoshi before I arrived in Japan. I had told him that I wanted as much traditional Japanese culture and food as I could have during my two week stay. Satoshi made sure I had a variety of good meals. I ate a lot of salads and greens for breakfast. Spinach and mushrooms, sashimi, cucumbers, pickles and lots of rice, Iwana and sansai (mountain vegetables) that Nahuji-san had picked and prepared. Where ever I went there was a HUGE assortment of roadside coffee machines and every day I probably consumed 5-10 hot and cold coffee drinks. I was wired up the whole time I was in Japan, hopped up on a caffein buzz. In Gokayama (Shinji, historic village) we had shioyaki, sushi, all the vegetables previously mentioned, lots of miso, rice and the house we stayed in was 350 years old. We stayed with the Nakaya family in their Gasso style home. I drank a lot of Asahi in Gokayama. In Tokyo, I was toured by Masayuki where I was taken to local favorite and special sushi places. I love sushi and this was mecca. I had so many different types of fish. The blowfish you hear about was actually quite boring but very good, tasted like chicken. We had a large tuna "cheek" that was somewhat special. I guess my favorite of all was something called, "Saba No Heshiko" and it was STRONG, a type of fermented mackerel. All kinds of Sake and Sake Bomb (a small cup of Sake dropped into a glass of beer.) I was taken to a whiskey bar that only served the finest of the world’s whiskey. I was shown Yakatori bars, ramen and soba places, all sorts of specialty kitchens. Erik Ostrander: We ate only local food while fishing in the mountains. Mr. Moori provided a meal with only food that he had grown. Good thing we don’t drink, because I don’t think he made the Sake himself! 6. Besides fishing, what did you do in Japan? John Vetterli: Fishing for 14 of 15 days. Erik and I both wore out a pair of wading boots and tossed them in the trash after the last day of fishing. We were interviewed by NHK Television as were John and Paul from the UK for a documentary film. While fishing in a tiny village ouside Kyoto, Erik and I were also interviewed by the largest newspaper in Kyoto. Chris Stewart: Visited my mother in law, also went to Takayama, Kyoto and Tokyo. Daniel Galhardo: Uh…so much. I think worth mentioning may be a lot of visits to onsen (besides food and fishing, another big reason for my returns). TENKARA+ Shower-climbing trips have become part of my itinerary when I return now. I have also done a fair amount of foraging, both for sansai (mountain vegetables) as well as mushrooms. And, of course, just hanging out with people. I like to document a lot of what I experience in Japan, besides fishing, in my blog. John Pearson: We spent most of the time fishing but we did take an hour or two here and there for a bit of sightseeing and also managed to film a few fly tying sequences and interviews for future Discover Tenkara DVDs. Many places we stayed had the traditional communal hot spring baths (onsen). They are a really welcome experience at the end of a long day's fishing. Our last couple of days were spent in Tokyo so we got a bit of the big city experience too including, general sightseeing, visiting the amazing Sansui fishing shops, sampling the Tokyo nightlife (including karaoke) and falling asleep on the Tokyo subway. Paul Gaskell: We also took in the Tokyo museum for science and natural history and the Meiji-jingu shrine in Tokyo as well as checking out the street performers around Shinjuku and the amazing crepes plus young people impressing themselves and each other in Harajuku. Takayama was definitely worth a visit – as are any of the smaller more traditional villages (although these can be over-run with tourists too). Timothy Burchett: I was in Japan and the whole Pacific region for six months on a deployment. I flew around the whole region, including South Korea, the Philippines, and Thailand. Because of my busy schedule, I actually had very little time to see Japan, except from the air. I spent one weekend in Kyoto and visited Hiroshima, near where I was stationed, several times. The weekend that I spent with the Sakakibaras was one of the only times that I really got to experience Japan. I brought all of my tenkara gear with me to Japan, but had not yet had the opportunity to use it. Another advantage of tenkara- when you fly a fighter jet, you barely have space to pack a change of clothes when you travel, but I can wedge my whole tenkara kit with me in the jet, so it accompanies me when I travel just in case the opportunity to fish presents itself. Uberto Calligarich: As I already said, I worked for a Semiconductor company , studied Japanese language and culture and visited Japan with my girlfriend. Adam Trahan: I have had a interest in the Ninja since I studied Tae Kwon Do in my 20's so I just had to go to Iga, home of the Ninja. Satoshi made sure I went and it was quite a one day trip from his home in Mie, I think we had to take 5 trains to get there. I traveled across the country side and learned a lot about the people. I was in Japan more than a week before seeing another Westerner. I was definitely out of place but was not made to feel uncomfortable. Japan is an advanced civil country of beautiful people. I saw a diverse culture, a small percentage of men that carried women's purses and wore effeminate clothing, they walked hand in hand. No one gave them a second look. I can appreciate the fact that a culture allows people to just be who they want to be, it is refreshing but Japan is not a young society. We have a lot to learn from the Japanese people. I love soaking in hot springs at home and Japan is a nation of clean. The bath at home is more than important. Your shoes are left in the entry way and you use house shoes that are provided. You clean yourself with a shower and then get into a hot bath that everyone in the house shares. The bath is immaculately clean. "Onsen" is a natural hot spring and in two weeks, there were only one or two days that I did not make it to an onsen. I have a couple of tattoos and tattoo is taboo in Japan, not like you think. I started out covering up my tattoos and then later, just didn't care. I'm a goof and do not look like a gangster (tattoos are mostly yakuza or Japanese gangster) You are naked in the onsen and that really doesn't bother me from my Army experiences and I'm a skinny dipper from way back. Onsen was huge for me, I absolutely love how clean you are all the time. Another thing is "shower toilet" Japanese have toilets that wash your bum. I have never been so clean in my entire life. I will own a shower toilet. Erik Ostrander: My wife and I stayed for an additional week after fishing. We stayed several nights in Kyoto, the old imperial city, and several nights in Tokyo. Day trips to other cities were easy with the train system. Hiroshima for a day to see the A-Bomb memorial. Niigata for a day to see the ADA gallery and the beautiful planted tanks therein. 7. What was your best memory while fishing in Japan? John Vetterli: Making new and very real friends with Masami Sakakibara and Horomichi Fuji. These guys just opened up to us and let us in. It feels like I have known them for decades now. Re-connecting with Dr. Ishigaki on his home river. Fishing, camping, hanging out, and road tripping with Eiji Yamakawa, Kiyoshi Ishihara, and Masami Tanaka of the Harima Tenkara Club. We all met in 2012 at the Salt Lake City Tenkara Summit and have all become great friends since. This trip for me was about relationships more than just catching fish. Fishing is just a common thread we all share. True friendship is something that has grown from sharing the common thread. These relationships have transcended culture, language, distance, and have become something very special to me. Chris Stewart: One-on-one instruction from Masami Sakakibara. Daniel Galhardo: Tough one…Because there are so many, I may have to go to one of my first, when I first fished with Dr. Ishigaki in Japan. We spent 4 or 5 days fishing together, exploring many tributaries around the Itoshiro river area. It was their rainy season and I remember having a wonderful day on one of the tributaries, catching a lot of Iwana and a couple of my first amago. My good friend from college had joined me and helped me as a translator. Then it started raining, and then it poured. We hid underneath a bridge for a while, and just talked. Soon after it stopped raining we headed to a hot-spring up the hill a ways. The sun set, there was mist and fog surrounding the mountains and the pine trees around us, while we enjoyed warming up in hot water. It all just felt very magical. Paul Gaskell: An impossible question – but some of the things that are at least feasible to write down are given below. The caveat is, of course, that my grasp of language isn’t really adequate to express most of the best stuff because it was all too subtle or complicated. John Pearson: I could never pick a single best memory... it was a two week long best memory. I couldn't even pick out a few highlights; it was ALL totally outstanding. Timothy Burchett: The whole experience was a highlight. The amazing dinner, sitting around the table in a traditional Japanese house with fellow fishermen, and watching fishing movies about Masami with Masami was an experience that will stay with me forever. However, the highlight was on the second day, when we went fishing in a driving rain. The mist was rising up the steep canyons and the bamboo forest looked surreal. In that setting, getting casting lessons from Masami was amazing. My lack of Japanese necessitated him using his two English words- “no” when you did something incorrectly, and “ok” when you did something correctly. The whole experience was great. Uberto Calligarich: My last day of fishing in Japan, just before leaving for Italy , was definitely one of the best moments I had in Japan . I went to the Takaharagawa river, an extremely beautiful mountain river in the Gifu prefecture. As a common habit among my friends , we started fishing around 4 am. I was very sleepy but during the morning I succeeded in doing the Takaharagawa Big Slam catching all the species of fish of the river : Amago , Iwana , Yamame , Rainbow trout and Ugui. Not an easy thing! Also , all of my friends came to say goodbye. We fished , camped and had a lot of fun. Adam Trahan: I pegged the fun meter fishing in Japan. I used only one fly and caught Iwana, Amago and Yamame as well as Rainbow. That was my goal and I achieved it. I would have to say that my most memorable moments were not of fishing. Satoshi, Go, Masami and KoKo, everyone was great, the people where the best thing about Japan, I learned so much. I love fishing and it is the reason why I went to Japan but not what I will remember most, it’s the people, I really enjoy getting to know people. I had been getting to know Satoshi online through his stories and planning my trip as well as my research into Tenkara, when I got there and spent a week with him fishing and learning about Japan, it was AWESOME! My friends Masaki and Masayuki didn't know they grew up in the same neighborhood. I introduced them to each other and being with them as they talked about their lives was cool. We spent a couple of days fishing and it was awesome too. I wanted to know more about Sake and they were ready to teach me. We were at Masaki's second home and in his kitchen while he prepared a meal, we drank Kihei, a nice smooth Sake with Asahi, Sapporo and Kirin beer. We were feeling it. I was so far away from home but these two made me feel very comfortable. I wanted to know about their politics, what men thought about government, about women, about fishing and we talked and talked, drank Sake and laughed, got very serious, sad, happy late into the night. I was asked serious questions, I asked serious questions, I wanted to know and was told. Sitting at that kitchen table, I was educated what it was to be Japanese and I will take that memory to my grave with me. The people of Japan, my friends, the little moments with them, that was my best memory. Erik Ostrander: Best memory? It’s tough to say a time that was the best when everything was all so nice. My best memory is of the people we met. Everyone we met was so gracious, kind, and respectful. I feel this memory with me often back here in the states. 8. What would you have liked to do that you did not get to do while in Japan? John Vetterli: Spend 6 more months there exploring the thousands of miles of mountain rivers/streams. Chris Stewart: See Mt. Fuji (it was too foggy/cloudy). Daniel Galhardo: I haven't caught many yamame yet, mostly I have fished in the parts of Japan that have more amago. So, I want to catch more yamame. I also haven't been up to Hokkaido, which is the great wilderness area in Japan and a place to catch the Ito (like a taimen). So, I'd like to visit that area. Paul Gaskell: I suppose an obvious thing would be simply “to spend more time there” and to visit more areas – especially some of the crazy spots in Hokkaido with giant fish. Also, to have been at a higher standard with conversational Japanese would have been brilliant. I quite fancy a go at shower climbing too… I also wish we had the means to give more gifts that were more commensurate with the hospitality that we received. Timothy Burchett: Catch a fish! Uberto Calligarich: I would have liked to fish and backpack in Hokkaido. Adam Trahan: I did everything that I planned to do and was shown much much more. I would have liked to fly a hang glider or paraglide in the mountains. Maybe go snowboarding in Hokaido or surfing. Erik Ostrander: I didn’t get the chance to live in Japan for the rest of my life. Funny how a three week trip doesn’t last a lifetime. 9. Are you planning to go back? Chris Stewart: I will probably go back some day, but I have no current plans. Daniel Galhardo: I'll be back there in mid-August/early September for about 3 weeks this time. John Pearson: ... of course! I know both Paul and I see it as almost essential. I suppose I'm in a slightly different position to many anglers in that tenkara and fly fishing is my full time job but I can't see how anyone who "works" in tenkara whether it's guiding/teaching or producing/selling tenkara tackle can call themselves an expert without having "gone to the source". It's amazing how many subtleties there are in Japanese tenkara and how many of those subtleties have translated into misconceptions and misrepresentations in the West. It would be tremendously naive to think you could learn everything there is about tenkara in Japan in one visit, so yes... I'll be back! Timothy Burchett: I have no doubt that I will go back to Japan someday. I will probably go again for work, but really look forward to the day I can visit on vacation. Uberto Calligarich: Sure , I have to go fishing in Hokkaido! Adam Trahan: Hell yes. I have been invited to make an adventure with Yuzo Sebata and Keiichi Okushi. That is my next adventure. 10. What advice do you have for anyone that is travelling to Japan to go fishing? John Vetterli: Take lots of cash. Most places do not accept credit or debt cards. Japan is a cash culture. ATM withdrawls can be problematic at best. Not all ATM machines accept foreign cards. Wear long sleeve shirts and long pants in the mountains. There are these tiny insects called Bio that bite voraciously and the bites itch and hurt much more than any mosquito bite you have ever had and traditional insect repellent does not work on them. Bring a good, high quality lightweight packable rain jacket. June is the beginning of the rainy season in Japan. You have to purchase a fishing license for each area you fish. You can’t just jump in the river anywhere you like. The regulations on fishing are strict and confusing. Have an open mind about your fishing techniques. If you go there seeking instruction, forget what you know and learn what you are being taught. These guys will not waste their time with you if you are resistant and can’t let go of what you know to learn what they have to teach. Leave your fishing ego in your suitcase. Chris Stewart: Develop online friendships first, then just go fishing with friends. Fishing in Japan is like fishing in Montana or Virginia. It’s just fishing. Being in Japan is what is different – and it is very different. Daniel Galhardo: Things have become much easier in our current age, and it has become very easy to connect with people. I highly recommend getting to know some Japanese anglers via the online tenkara community first for tips on places to go. If they have time they may even be able to show you around. The other advice I have, and have carried with me since I started traveling, is to really approach every experience with a very open mind. You may not enjoy a bite of a certain food, or may not agree with the way things are done, but you will never regret experiencing something different, or in a different way. Paul Gaskell: Take some small gifts to give to people that you meet and also be ready for people to flatter you/spoil you by, for instance, giving you the best seats at a table (and be equally ready to put yourself second, try to do some jobs/helping with food preparation and turn aside the excesses of flattery!). Also, throw yourself into the Japanese style of bathing; you need to get scrupulously clean from head to toe using the potions and wash-bowls provided with each of the low showerheads and stools arranged round the edge of the room before getting in the bath. N.B. YOU MUST RINSE OFF ALL THE SOAP AND SHAMPOO in the shower before you go anywhere near the baths themselves!! The water is generally scalding hot and deep enough to go up to your chin. It is amazing. You will also, most likely, need help in finding and booking accommodation before you travel – many traditional inns (such as you will find up in the mountain regions where you find tenkara streams) are not too cool with you just arriving unannounced to try to make a booking for the night. At the very least you will need to identify places via the internet in advance and book by email or phone (which may require the use of a Japanese phrasebook; I can recommend the Lonely Planet one as a decent option). John Pearson: Find yourself a Japanese friend! Preferably someone who fishes... and make sure you like Japanese food. Unless you speak fluent Japanese you're likely to struggle in the remote mountain areas without a little local help; there are relatively few people who speak English. That being said, it's amazing how helpful people are in Japan... try staring at a map for more than a minute and there's a good chance someone who sees you will try and offer assistance. If you're fishing for trout, bring your A-game... those fish are not as obliging as your average rainbow or brown trout. Timothy Burchett: Japan is an amazing country and culture. The fishing is just a small part. If you get the opportunity, visit the historical sights, especially in Kyoto. Enjoy the food and get to know some locals in order to get the opportunity to really experience the culture. 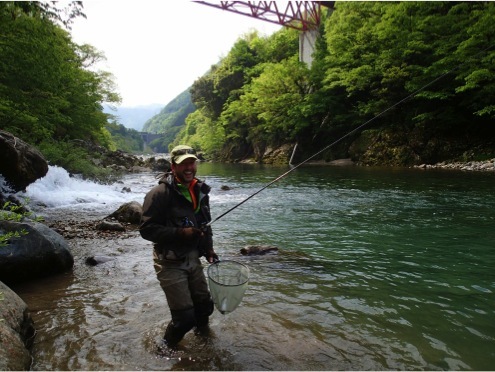 Uberto Calligarich: 1-All Japanese trout and especially Iwana likes very much white colored flies. So , be sure to have some with you. Also , be sure to have a Japanese friend or a good Japanese guide. It is extremely important for a successful fishing. Adam Trahan: Many of you probably reading this followed my threads on my trip planning to Japan. You read about my trip while I was there and now this article. What you are reading now from this group of people is the best written advice anywhere about a Tenkara trip to Japan. I am very proud to be a part of this group and this project. Pack light and travel fast. I did two weeks traveling in planes, cars and trains in two backpacks. That included my waders and boots. My next visit I will have one daypack, only necessary items. Travel with good equipment is refreshing. A nice breathable rain jacket, I used a Patagonia Torrentshell, ExOfficio Boracade pants, Columbia and Rei shirts, a good pair of flip flops, a pair of thick socks to use in the Japanese house. My Zimmerbuilt pack was really a star in that it folds up to the size of a Coke can but holds a lot and can be used in the city as well. You could do the trip with one rod, I used the Shimano ZL for most of my trip and I still love this rod very much, it will go back with me. A Shimano ZE and ZL or a Ito and Rhodo. Or you could only use an Oni rod. My Rhodo will visit Japan for sure. Onsen (hot spring) is something that I did a lot so a small micro fiber towel really was useful. Cash, Yen and lots of it. Your credit card will not work everywhere and a debt card will not work at even less places. I carried a lot of cash, I think around 20,000 yen for two weeks. Toll roads are everywhere and expensive. You need to convert to Yen and I did this in America. It's funny, I had learned about the Historic Villages of Shirakawa-Go and Gokayama from Yoshikazu Fujioka back in 1996. He and I conversed a little and I have always wanted to visit. So I asked Satoshi if he would help me stay there. We decided on Gokayama and it was the most wonderful stay. I absolutely loved it. We visited Itoshiro from Gokayama where we meet Masami and Go. In the evening after fishing, we were asked to stay with them but we had to decline as we were committed to Gokayama. Masami asked Satoshi and I about Gokayama and Shirakawa-Go, he did not know it was so cool. Fujioka-san introduced me to it, then I had such a good time that I introduced Masami to it where he introduced Daniel to it (from my understanding) and I told Gaskell and Pearson that they had to go there and they did too. If you are going to Japan to fish, please consider going to the Historic Villages of Shirakawa-Go and Gokayama. You just might thank me, and Yoshikazu too. I strongly suggest that you allow your prejudice, bigotry, and narrow-mindedness to be collected by the grim-reaper. Wherever you want to go you will have your mind opened in ways you cannot imagine. John Vetterli: I am John Vetterli, Co-Owner of Tenkara Guides LLC. The first professional tenkara only guide service in North America. I have been a student of Japanese martial and cultural arts for roughly 30 years. Chris Stewart: I am Chris Stewart, founder and owner of TenkaraBum LLC. My interests include fixed line fishing, both fly and bait, and both finding and stocking quality rods, lines and accessories that are not available from other US sources. Daniel Galhardo: Daniel Galhardo is the founder of Tenkara USA. He has dedicated himself to bringing tenkara outside of Japan. Daniel is passionate about many things, foremost may be tenkara, but also climbing, canyoneering, biking, food and onsen. Paul Gaskell: Like John, I’ve around 35 years fishing experience and that interest lead me into an academic career in freshwater biology. I now work for a “hands on” conservation charity in the UK called The Wild Trout Trust; in essence similar to Trout Unlimited in the USA. My second job is running Discover Tenkara, guiding, coaching and DVD production along with John. John Pearson: I'm a lifelong fly fisher with over 30 years of experience and, motivated by my passion for fish and fishing, I studied for/gained a BSc honors degree in Field Biology and Habitat Management. I now work as a full time tenkara guide and, together with Paul Gaskell, we run Discover Tenkara - a web resource for information on Japanese tenkara. Paul and I are the UK's first Tenkara USA Certified Guides and this year we released the first volume in our DVD series Discovering Tenkara. I am also a partner in Fish On Productions producing fly fishing instruction DVDs and a range of fly tying materials. 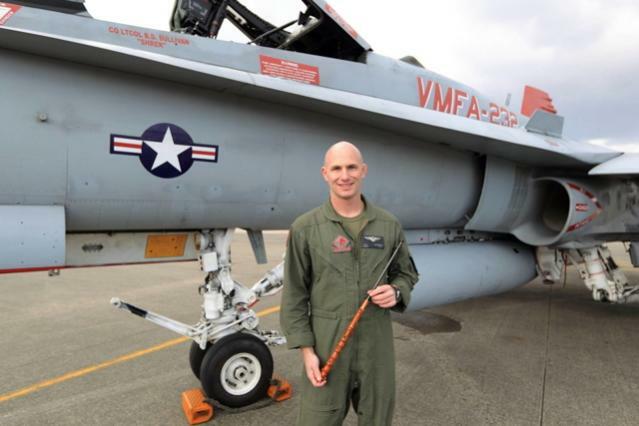 Timothy Burchett: I am an avid tenkara fly fisherman and a Marine jet pilot. While deployed to Japan for six months, I had the opportunity to spend a weekend fishing with Masami Sakakibara. I was very fortunate to get that opportunity. While in Japan, I heard of him and the rods that he made. I decided to order one, and shared some e-mails with Team Oni in regards to the ordering process. When it came time to ship the rod, I gave them the address of Satashi, a local Japanese man whom I had become good friends with during the deployment. Apparently, Team Oni called him to confirm that there was indeed an American using his address, and Satoshi must have put in a good word for me, because a few days later, I received an invitation to go fishing with Masami. I spent the weekend at his house fishing and enjoying Kyoko Sakakibara’s great hospitality. It was a once in a lifetime experience, and I learned more in two days than I had in the previous three years of tenkara fishing. Uberto Calligarich: My Name is Uberto Calligarich , I am Italian and Belgian (50/50) and I was born in Milan in 1988. I am interested in hundreds of things and I have a lot of hobbies. Among them, fishing is the most important . I have been fishing in the northern Italy mountains since I was 4 years old (Thanks dad) and I developed a deep attachment to Nature. In few words : my religion is the nature, my church is the forest, and in the river, I wash my soul. Adam Trahan: I am Tenkara-Fisher and the father of three boys and the husband of a loving wife that guides me through my crazy Tenkara passion. Erik Ostrander: Hi, I’m ERiK. You can think ERiK the red (gestures towards red beard). Learning and becoming an expert at whatever I do is a passion. From planted aquariums, to rock climbing, to tenkara, I’ll always try to become the best. I also love sharing what I know. As a high school teacher and tenkara guide I get to geek out with science and fishing all the time.